Going back to the early days of my blog again, and considering what was going through my mind at that time shortly after the autism diagnosis. This post shows some of the early facts that I came across when researching autism, and most of them stand true today (six years on). These 'top facts' about autism were sent to me by another mum as a good starting point to try and spread understanding. Parents of children with autism quickly discover the top autism facts. But what about in-laws, teachers, friends, cousins etc? Few people outside the immediate family really want to read pages and pages of in depth information. Here I have tried to present some basics for a quick read. These are not all my own words but words I have picked from many different places but I believe they are words that help raise awareness. Please feel free to add to it, send it on to as many people as possible, change it etc. Thank you!! Thomas Edison, Albert Einstein, Michael Jackson, Woody Allen, Mozart, Bethoven, Gary Numan, Dan Akroyd, George Orwell, Bill Gates, Michael Palin, Alfred Hitchcock, Isaac Newton, Jane Austin, Hans Christian Anderson, Charles Darwin, Thomas Jefferson and Michelangelo di Lodovico. They are all believed to be or have been (as some are dead) on the Autistic Spectrum. People with autism can be a little autistic or very autistic. Thus, it is possible to be bright, verbal and autistic as well as locked in their own world, non-verbal and autistic. The most significant shared symptom is difficulty with social communication (eye contact, conversation, taking another's perspective, etc.). If you've seen Rainman or a TV show about autism, you may think you know what autism "looks like." In fact, when you've met one person with autism you've met ONE person with autism. Some people with autism are chatty; others are silent. Many have sensory issues, gastrointestinal problems, sleep difficulties and other medical problems. Others may have social-communication delays - and that's it. There Are Many Theories on the Cause of Autism, But No Consensus. At present, most researchers think autism is caused by a combination of genetic and environmental factors - and it's quite possible that different people's symptoms have different causes. Autism is a lifelong diagnosis. For some people, often (but not always) those who receive intensive early intervention, symptoms may decrease radically. People with autism can also learn coping skills to help them manage their difficulties and even build on their unique strengths. But people with autism will be autistic throughout their lives. It may seem that autism is a wholly negative diagnosis. But almost everyone on the autism spectrum has a great to deal to offer the world. People with autism are among the most forthright, non-judgemental, passionate people you'll ever meet. They are also ideal candidates for many types of careers. Children and adults on the autistic spectrum are funny, quirky, frustrating and unique. 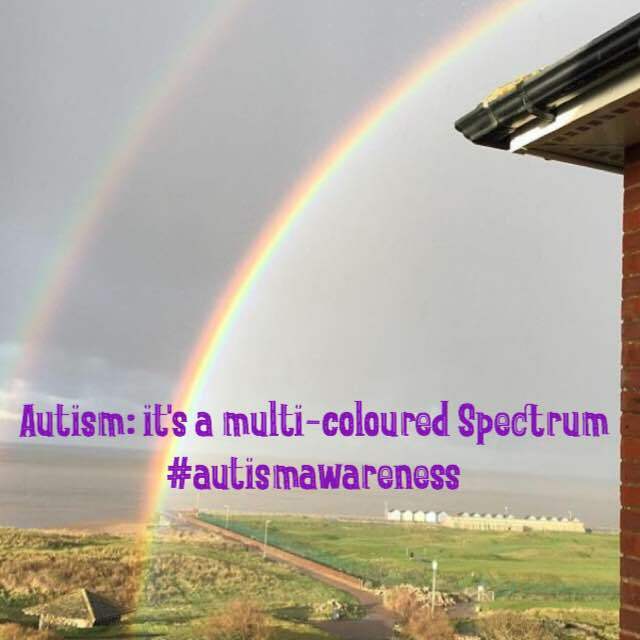 With 1 in 110 children now being diagnosed there is an excellent chance we will all be touched personally by autism in our lifetimes. Hopefully with raised awareness of this issue we will have more understanding of people with autism as well as the effect it has on a family. I would like to think that when people witness a child having a meltdown in public they will be compassionate rather than judgemental.